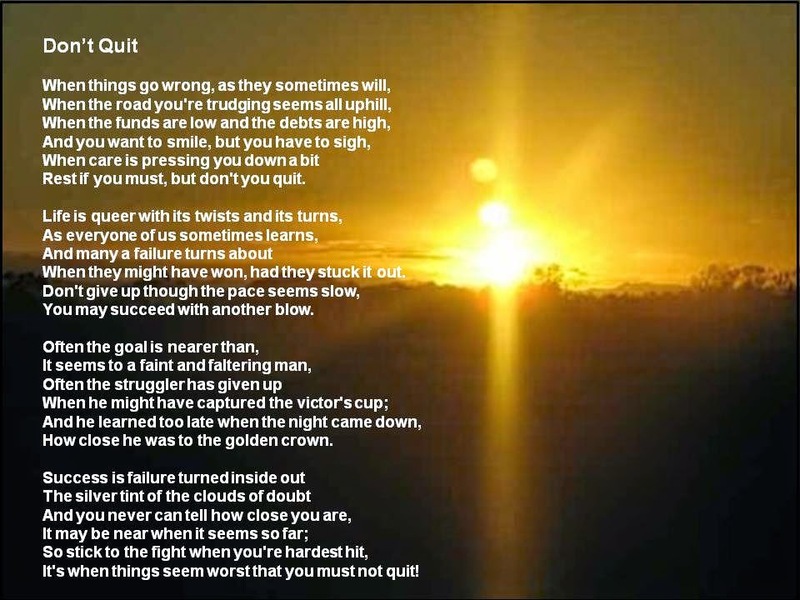 Walk The Creek: Burnout - Don't Quit!! Do you ever have those days where you just want to quit everything? Do you ever have those weeks? Sometimes I just feel so overwhelmed and exhausted that I feel like I just want to say to heck with everything and quit it all. But, now......... let's be realistic because we can't just do that. So what do you do when you feel like that, because I am sure that I am not the only one who feels it?!! I had a chat with one of my boys the other day and told him that often when I feel like that - because he thought he was the only one who ever felt that way - I just make myself go through the motions, because it is the right thing to do, and eventually I come to the point where I understand again why I do what I do, and then I can go on again with a renewed energy. I can't tell you how many times I just go through the motions, because it is what we are supposed to do, not because I WANT to do it, but because I NEED to do it. There is a difference for sure. But "always" I come away eventually feeling like I can do it again for a short while. Just go through the motions and try to put a smile on our face, and eventually you will be smiling again for real. Not an easy task sometimes, but it works for me. I just keep telling myself this and I make it through again. There has got to be victory around the next corner right? Well we just keep walking the road and going around the corners and eventually, as we look back, we will see the little victories, the big wins, and all of the successes along the way that have helped us get to where we are today. So don't quit! Persevere! Endure! Fake it if you must! Keep smiling!